This topic contains 9 replies, has 8 voices, and was last updated by JLPicard 3 weeks, 4 days ago. So I thought I would give back to the community and offer my services with the printing of graphics and decals for your projects. I own a sign company in Connecticut and have a 54″ digital printer. I have printed some artwork for Mameman and a couple of others on the forum and have been asked by a few about printing their work. You can see the quality of the printer and material on my build http://www.hyperspin-fe.com/forum/showthread.php?t=13088. So I am starting this thread to offer my services at a fair price which I hope will be less than what it would normally cost you around your area. Here is what you get and how much. Design your graphics in Photoshop, A.I., whatever and send me the files at 100% scale (Using https://www.yousendit.com/ as files will be large). Samples for color proofing can be made if you require it. Once sizes and color profiles are checked printing will begin and the artwork will be sent out within 2 business days by ground shipping anywhere in the US. US Shipping is $20, overseas shipping is $60. If you are interestedplease email me at bjbowman045@gmail.com and I will get right back to you. Happy building! I can vouch for OP (Brad) couldn’t be more happy with the way it turned out. Hey all just updating the thread here…still printing away, if you need something please shoot me an email, bjbowman@gmail.com. Thanks. I also used Brad for mine and I think the final product looks amazing… thanks Brad! whats the square foot price? brad did good work for me on a few things, he was CHEAPER, with shipping included, then i could get done locally at the time. top notch work, easy to work with, great businessman. Brad for me to. Highly recommended. I have used Brad’s services multiple times in the last year with excellent results. 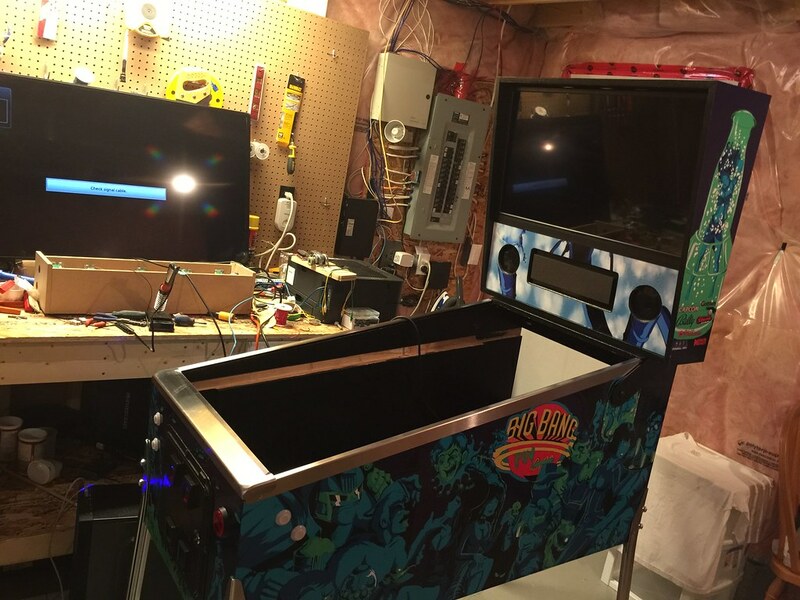 I helped my boss to build his own Pincab (see image) Then I couldn’t live with his cabinet being newer and nicer than my own so another one for me. And then a MAME cabinet. Each time the qualify of the print was amazing, fantastic deal, and shipped rapidly. I highly recommend his services.